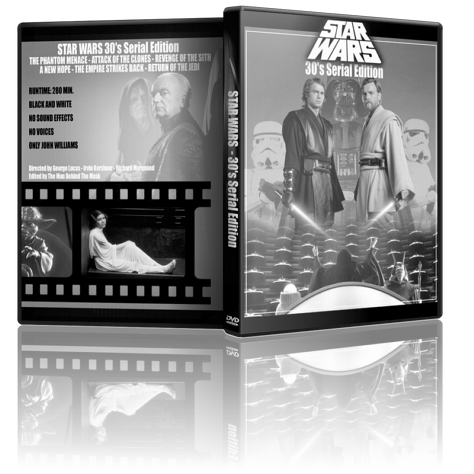 This is a black and white silent edition of the Star Wars Original Trilogy saga. No voices, dialogue cards, no sound effects, only John Williams music. I tried to give the same old movies feeling to the whole saga, and so make a new way of listening to the score. But I almost did not change the story, it’s just the way of telling it that change in this edit (and the length of course). I enjoyed Part 2 slightly less than Part 1. The editing was fine, but the Dusty, while nicely marred, was sepia toned, and that just struck me as wrong. 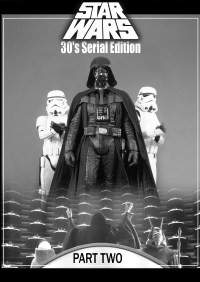 Mind you, I appreciated how this looked, but to me a 30s serial ought to be B&W. The sound was great, visual and audio editing flawless. 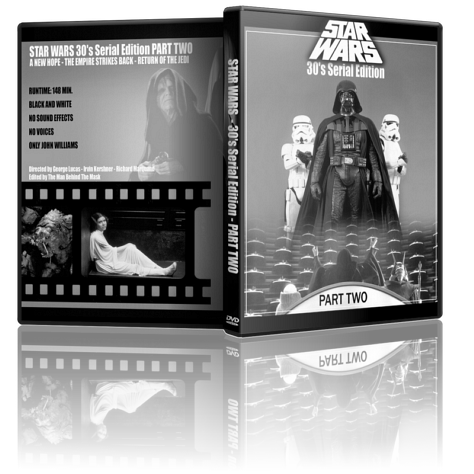 Can easily recommend this edit, especially if the viewer doesn't suffer strange prejudices towards sepia tinting. Very skillfully made edit, the stories are condensed nicely and I enjoyed watching them.